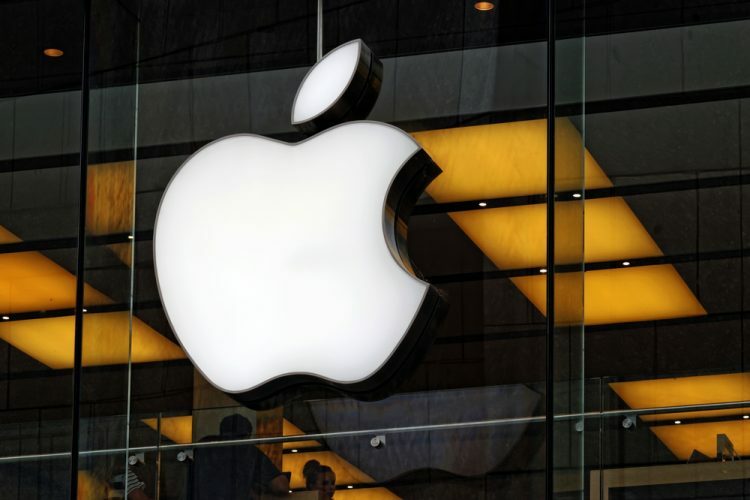 Apple has finally become the world’s first publicly traded US company to have achieved a market cap of $1 trillion. Let that sink in. We had all been keeping a close eye on Apple’s share prices over the past couple of days, knowing that the Cupertino giant was close to achieving this major milestone. 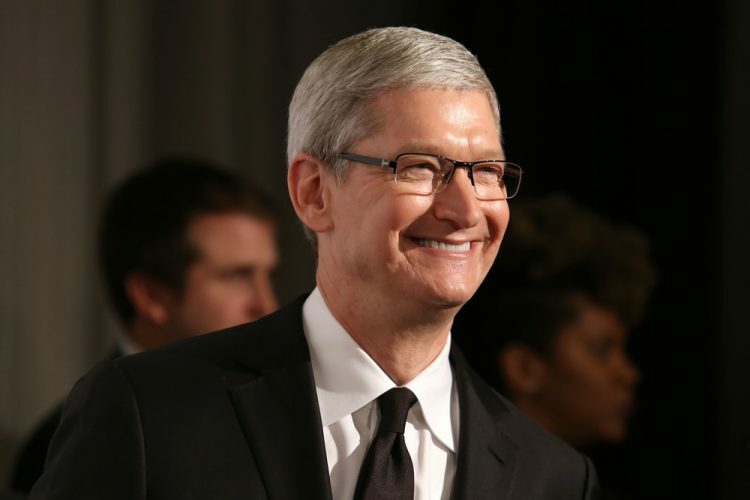 Ever since Apple beat market estimates to report record numbers in its quarterly results earlier this week, its share prices have been on the rise. The company’s market cap hit the $1 trillion mark when its share price jumped about 3% to cross the $207.05 point earlier last night at 9:18 p.m IST (or 11:48 a.m EST). 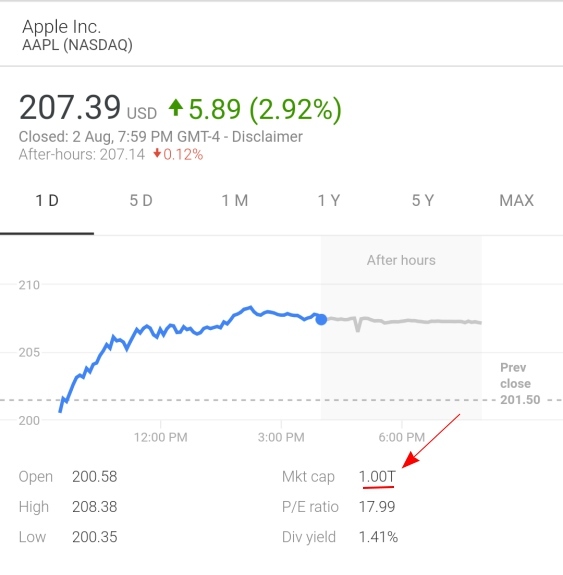 Apple managed to hold on to the $1 trillion value as the market came to a close, but we can expect it to dance around this milestone mark for the next few days. While we previously expected Apple to achieve this milestone around the $203 mark, the heavy buybacks from Cupertino itself pushed the threshold higher. Thus, 207.05 was the price for it to show its supremacy in the tech ecosystem. This is an outstanding achievement for Apple, especially when you consider it is the first and the only US-based trillion-dollar company. However, it lost out on becoming the world’s first as a bunch of companies already did make it past the $1 trillion mark. Prior to Apple’s achievement, Chinese oil company PetroChina had hit the $1 trillion mark back in 2007 when the oil prices were on a steady rise and listed on the Shanghai Stock Exchange. However, the global financial crisis hit soon after, leading to a collapse in share prices and now its market cap stands at just $220 billion. Then there’s also Saudi Aramco, the state-owned oil company of Saudi Arabia, which is a major global exporter, is valued at $1.5 trillion right now. It is privately held and expects to go public early next year. Taking a trip down memory lane, Apple was kicked off by Steve Jobs and his friend Steve Wozniak in a garage back in 1967. The company quickly tasted success but found itself in the deep dirges only a few after Jobs’ departure so he brought back on board with NeXT’s acquisition in 1997. Apple was valued at just $3 billion back in those days. However, fast forward a couple of decades, Jobs had kicked off an era of premium and user-friendly devices in the form of iPods, Macs, and of course, the iPhone has been truly transformative for the Cupertino giant. Thus, its legacy has been shaped and is now being carried forward by its CEO Tim Cook after Jobs’ death. Apple is no longer simply making a ton of money with its pricier iPhones, especially the iPhone X, but also pulling in ‘tens of billions’ of dollars from their growing software and services business. It is readily adding to the value and includes the revenue from Apple Music, App Store, CarPlay, iCloud, and other software services. So, as you can very well see, Apple has molded itself into a well-rounded tech company that no longer relies on just one popular product to lead its growth.